WISE: What Is Scholarly Editing? British Vogue (17 May 1939). (c) Fashion Museum, Bath and North East Somerset Council. On 1 February 1933, Women’s Wear Daily reported on the ‘controversial subject’ preoccupying the consumer press and the popular imagination: ‘Will women wear trousers?’ This enticing conundrum unravelled across newspaper columns and the pages of fashion and lifestyle magazines. Researching early editions of Vogue in the archives at the Gladys Marcus library at the Fashion Institute of Technology in New York turned up a striking visual response to this question. Although the late 1930s are often identified as landmark years in terms of the magazine’s representation of women in trousers, references to and images of women wearing divided garments appear much earlier—from advertisements for riding habits and ‘equestrian breeches’ in October 1907 to regular images of women in beach pyjamas and ski trousers in the 1930s. The covers of Vogue also tell an intriguing story about the advance of trousers for women (or, more specifically, fashionable and affluent women). As early as 1917 a cover image (which appeared in both American and British Vogue) depicts an illustration of a woman, wrapped in furs and wearing tight trousers, killing a polar bear against an arctic backdrop. A few other (less disturbing) highlights include: Pierre Mourgue’s illustration of a woman in a ski-suit on the 15 December 1927 issue; Georges Lepape’s illustration of a woman in trousers for the 22 June 1929 ‘summer travel number’ (a copy of which is held at the Mid-Manhattan Picture Collection at the New York Public Library); and Eduardo Garcia Benito’s illustration of a woman in loose, blue trousers, running across a beach with a greyhound, on the 5 July 1930 cover. By the end of the 1930s, slacks were making significant strides across the pages of Vogue. 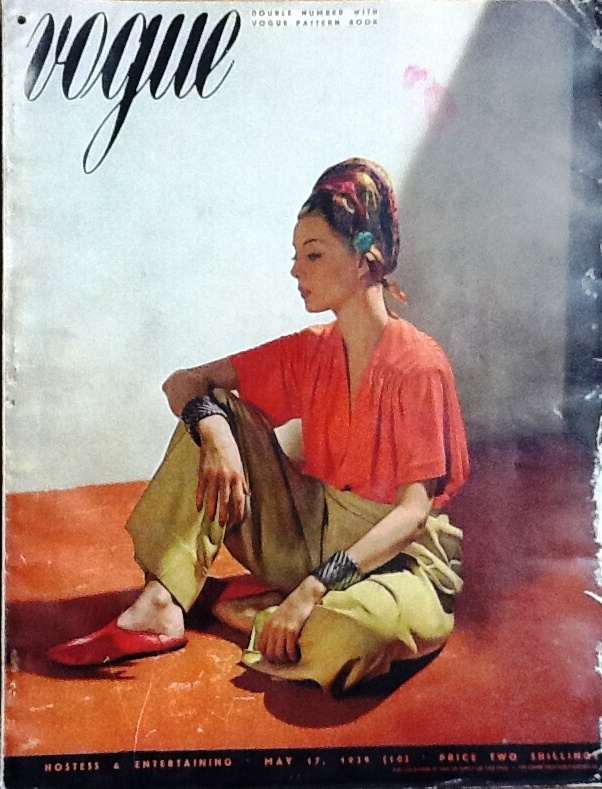 The 15 April 1939 edition of American Vogue featured on its cover a photograph of a model dressed in ‘sharkskin slacks and a buttonless jersey shirt (both of Celanese), a turban and Moroccan slippers’. Distinct from earlier covers portraying images of women wearing trousers for the beach, sailing and skiing, the April 1939 cover very conspicuously presents trousers as a more formal fashion garment (signalled partly by an Oriental aesthetic that harks back to Paul Poiret’s harem pants—an illustration of which, by Helen Dryden, appeared on the cover of the 1 July 1913 issue of the magazine). Bemoaning the diffidence of the beach-pyjama, the article goes on to declare that ‘[w]e have come a long way from those earlier beginnings; and nowadays if you’re less than fifty and weigh anything under ten stone your wardrobe is not complete without a pair or two of the superbly tailored slacks of 1939.’ No longer worn by just a ‘hardy few’, slacks now have ‘a much more important role’. More particularly, invested with a ‘sense of happy-go-lucky freedom’, they represent emancipatory possibilities that are explicitly identified with the mobility of the (young and slim) modern woman. 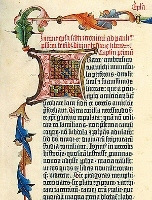 While American Vogue stresses the necessity to avoid the ‘mannish accessories’ that characterised the ‘early, experimental days’ of trouser-wearing, British Vogue entreats its readers to let their imaginations ‘run riot’ when deciding how to accessorise their trousers: ‘And if people accuse you of aping men, take no notice. Our new slacks are irreproachably masculine in their tailoring, but women have made them entirely their own by the colours in which they order them, and the accessories they add.’ The fashionable, modern woman should wear slacks ‘practically the whole time’—unless, of course, she is staying with a hostess who is ‘an Edwardian relic with reactionary views’.